Ghosn eager to speak publicly, but are the dangers of entrapping himself too great? Since his conditional release from the Tokyo Detention House earlier this month, former Nissan Motor Co. Chairman Carlos Ghosn has remained tight-lipped about his case and unusual predicament, even ignoring the questions shouted out by the reporters who swarm him when he goes out for walks. His legal team, on the other hand, maintain he is actually willing to hold a news conference. They said one hasn’t been scheduled yet because his health — allegedly affected by more than 100 days in detention — needs more time to recover and their strategies must be hammered out first. Still, a news conference could take place sometime soon. And legal and communications experts not involved in the former Nissan CEO’s case warn he may be wading into treacherous waters, as his remarks pertaining to the allegations against him could be used by prosecutors when he goes to trial. “If (Ghosn) refers to specifics of the cases in a news conference, then it is full of risk and there’s nothing good about it,” said Yasuyuki Takai, an attorney and a former prosecutor at the Tokyo District Public Prosecutor’s Office. Junichiro Hironaka, one of Ghosn’s attorneys, told reporters last week that his client is asking for more time to contemplate what he wants to say at a news conference. Hironaka’s office did not return a request for comment from The Japan Times. Takai speculated the 65-year-old French former auto executive is determined to hold a news conference because he wants to tilt public opinion in his favor — a strategy Ghosn apparently thought was effective in helping secure his release on bail. “He is thinking that as he asserts his innocence on more occasions toward the audience both inside and outside Japan, the foreign media’s coverage will (pressure) the country, which would work to his advantage in a trial taking place in Japan,” Takai said. His legal team is well aware of the risks associated with having a news conference, so Hironaka may be reluctant to set one up, Takai said. If it happens, he added, Ghosn will be asked to refrain from talking about the accusations and focus on matters that won’t be challenged in the trial, such as Nissan’s future, the Japanese legal system’s use of prolonged detentions or whether executives at the Japanese carmaker plotted against him. It is rare for a defendant in a criminal case to hold a news conference before trial because of the danger of entrapping oneself, said Shigeru Nakajima, a lawyer based in Tokyo who practices transactional law. 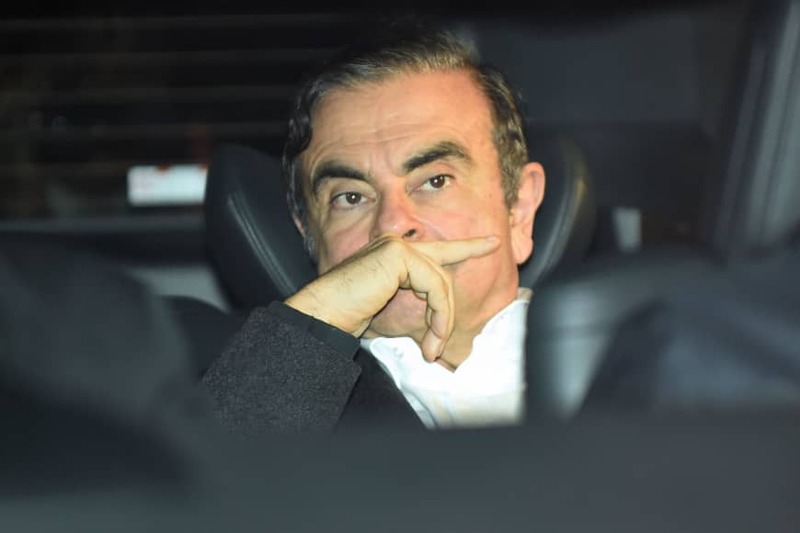 Ghosn was arrested Nov. 19 upon returning to Japan and was accused of deliberately underreporting his income in financial documents. Tokyo prosecutors served him two arrest warrants, including one for aggravated breach of trust resulting from the alleged transfer of private investment losses to Nissan during the 2008 global financial crisis. He was released on bail on March 6 after spending 108 days in confinement. 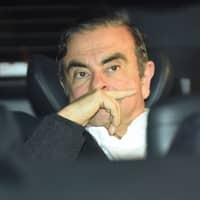 While in detention, Ghosn, in an interview with the Nikkei newspaper, challenged the charges made against him and said he had “no doubt” his arrest and ousting were the result of a “plot and treason” by Nissan executives who were opposed to his strategy to integrate Nissan, Renault SA and Mitsubishi Motors Corp., even further. Shin Ushijima, a corporate lawyer, said the legal team’s presence at any conference would reduce the risks to some extent, but won’t necessarily ensure a positive outcome. At the moment, Ushijima pointed out that Ghosn’s legal team doesn’t have full access to all the evidence the prosecutors have. In addition to the legal risks that could result from potentially damaging remarks made by Ghosn, the ability of his legal team to quickly jump in, filter the questions and give proper advice is another concern, he said. The language barrier could also hamper communication, which could be problematic when discussing sensitive legal matters. “When a reporter asks questions in a question-and-answer session, it doesn’t necessarily mean Ghosn will stick to the script discussed in advance by his lawyers,” Ushijima said. In addition to these hazards, how the media will respond to the news conference is another unpredictable element, said Yu Taniguchi, editor-in-chief of monthly public relations magazine Senden Kaigi and an associate professor at the Graduate School of Information and Communication in Tokyo. Citing the media’s obsession with Ghosn’s attempt to leave in disguise when he was released on bail, Taniguchi said the domestic media has a tendency to digress from the main issues at hand. “Even if he holds a news conference, it is plausible under the current Japanese media environment that (domestic outlets) might focus on how he bowed or how he dressed,” she said.